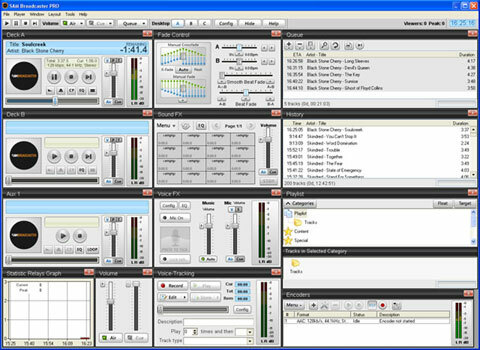 Set up your own professional, simple to use, live radio station. 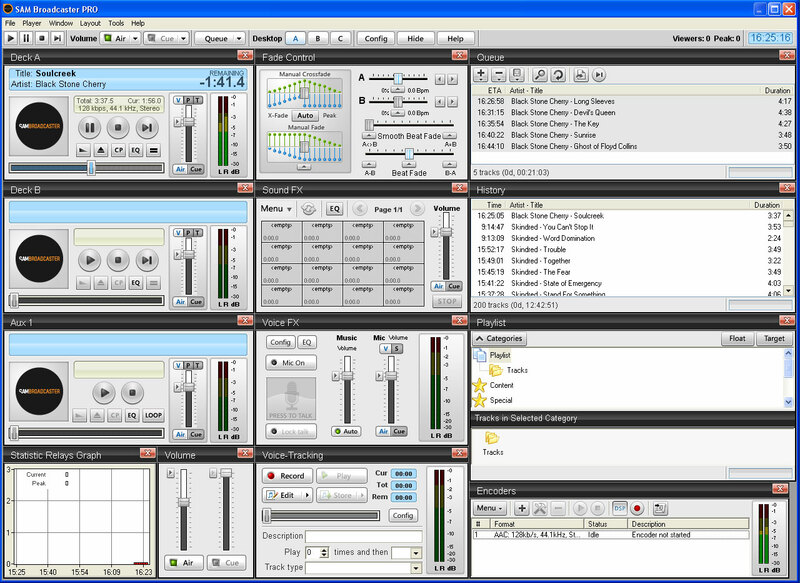 Using the SAM Broadcasting tool, you can set up and stream your own internet radio station within minutes. Our main service is to provide the user of the SAM Broadcaster a way to restream their radio station to a much larger audience. With our servers, all you need to do is broadcast a single stream to us, and we can then pump that out to anyone who wants to listen. This way, you don't need to worry about your upload speed, and you can have many more listeners connected at any one time. The SAM Broadcaster itself is a very simple but powerful DJ tool that, with a few small tweaks, can be personalised for your own style. It is simple enough for new users to get started with little difficulty, but has plenty of useful tools and effects for experienced users. You can get the SAM Broadcaster here.